Lacey Shoemaker will take 11 years of Red Cross experience to a new role with Wisconsin Emergency Management. She answered the phone in the middle of the night on Sept. 23, 2016, and thus began a deployment of American Red Cross workers to the Cascade Mall shooting. “As soon as the news started breaking, we were in activation,” Lacey Shoemaker,now 32, said of the incident that likely stands out most in her work so far. People coming together, supporting each other, was one of the main reasons Lacey joined the Red Cross. She gained her bachelor of arts in disaster planning and emergency management from Western Washington University, but before that was a volunteer at the same chapter she serves now. She later joined AmeriCorps and worked out of Joint Base Lewis-McChord, butwhen she noticed the opening for the disaster program manager job, she said shejumped on it. The nature of the work has changed while she’s been involved, she said, tomore human-caused disasters, such as the Cascade Mall shooting. The change hasbeen a challenge, she said, as the Red Cross has had to adjust its responseaccordingly, such as providing more mental health support instead of sending out as many supplies. 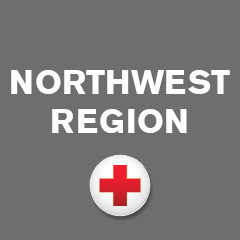 But fires, hurricanes and other natural disasters still areamong the priorities of Shoemaker and the Red Cross. She said the 2017 northernand southern California wildfires took their tolls. She added the 2017 fires were “really amazing because we were coming off thecusp of the hurricanes.” The chapter’s emergency vehicle was helping victimsfrom the disasters from August 2017 to February 2018, she said, which wasprobably the longest it had ever been deployed. “We’re not going to see a cease in disasters,” Shoemaker said. The unfortunate reality is that she knows she’ll need every skill she’s learned, and more, at her new job. Shoemaker leaves big shoes to fill in Northwest Washington. Her successor will need to develop a similar passion for the mission of the American Red Cross. If you or someone you know is interested, read more about the two positions open (as of January 2019) in Bellingham and Spokane, WA. Join us! By joining the American Red Cross you will touch millions of lives every year and experience the greatness of the human spirit at its best. Are you ready to be part of the world’s largest humanitarian network?